This pouch I picked up for $20 at a local market ..I sometimes use it for a flint and steel kit. 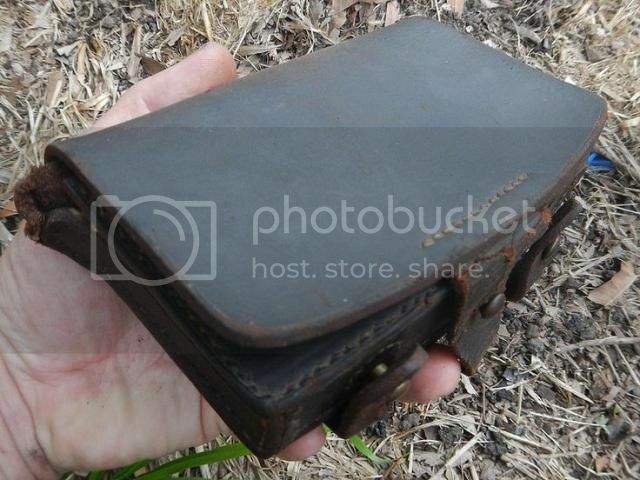 It is a MkI 1888 Valise Equipment used by Victorian Colonial Forces(Australia). . This pouch was an update of the previously-used 1855 pattern which looks very similar. The 1888 Valise Equipment is a pretty rare make of web gear since it was only in service for a few years. The weapon would have been the Martini Henry with its really big .577/450 cartridges. Martini Henry was only in uses for some 20 years before becoming out of date and replaced with the lee-enfield..Like I say I still use this as a bushcraft pouch sometimes.. I just love old pouches, and/or anything leather and canvas. I have been eyeballing a lot of Chinese military surplus stuff that is full grain leather and dirt cheap, but haven't pulled the trigger on anything. I'd love Duluth, Frost River, and handmade stuff, but that stuff is just not in the ol' budget for Punty....and I do have a soft spot for miltary surplus, anyway. By the way, loved the Sporran video. Old Scottish blood in my family, and I really enjoyed your Sporrans because I just never liked all the tassels and stuff. It's too bad we have replaced those great leather sporrans with.......fannypac ks. Just more evidence of the decline and fall of civilization, in my opinion. 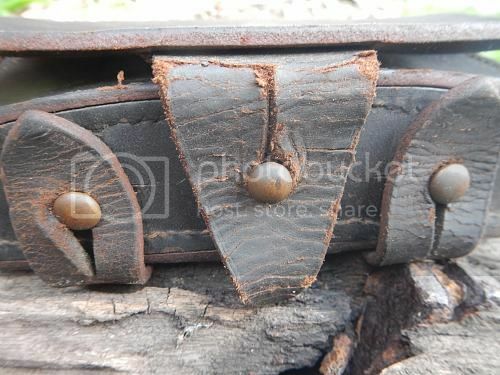 I think that pouch, with a little leather TLC, would make a great fire kit....space for a tinder box and plenty of tinder...flint and steel, all that good stuff. 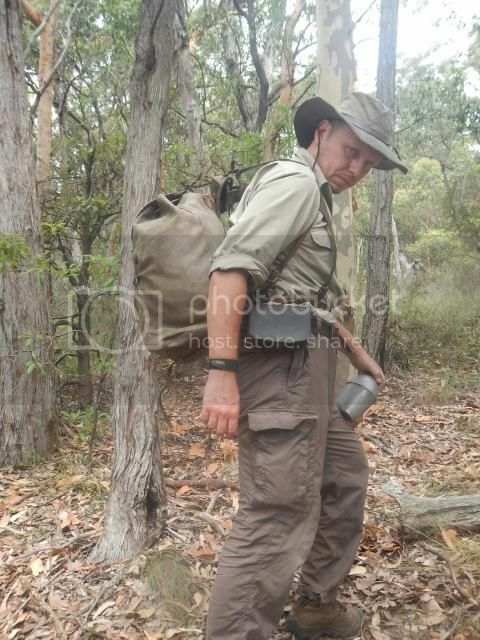 True fannypacks are part of the decline of western civilization,!..I hate the things..
My sporran vid Punty was talking about..
Is my oldest bit of bushcraft gear for sure!Was a great find..! Chances are good that your cartridge box is made from the hide of an American Bison, or as we commonly call them 'buffalo'. I remember reading, that at one time, all of the leather accoutrements used by the British Empire, for their military, were made from skins of the American Bison. This article mentions that fact....thought you might be interested. Could be if they exported the US Bison hides to Australia..This pouch was locally made,but if those Bison hides could of made it here to.? ?I know there was US/Australia trade going on in the late 19th century.. You see US red wood used in some of the old homes here. I take it the Bison hides would of been cheaper than cow hides at the time? If you re-read the article, it becomes apparent that there was very little leather being made from our own cattle prior to 1870. Most of what we were using came from Argentinian cattle at that time, but hoof & mouth desease nearly wiped out that source, making the vast herds of American bison the new primary source for the entire world. I believe it was the English that perfected the process of tanning Bison hides so they were suitable for industrial belting, making it usable for driving all of the machinery during the industrial revolution......pri or to the discovery of that process, the bison leather was too stretchy and spongy for use in industry because previous tanning methods. MOOAR, JOSIAH WRIGHT (1851?1940). J. Wright Mooar, buffalo hunter, freighter, and rancher, son of John Allen and Esther K. (Wright) Mooar, was born at Pownal, Vermont, on August 10, 1851. As a young man he followed the western migration, working in Illinois for a time and then moving on to western Kansas. After a stint in 1870 at Fort Hays cutting cordwood and killing buffalo for meat, he moved to the vicinity of Dodge City and hunted buffalo for the railroad crews laying track there. He was among those who supplied Myers and Rath of Dodge City with the first buffalo hides shipped to England for tanning. When Mooar sent fifty-seven hides to his brother in New York City, John Wesley Mooar sold the hides to a tanning firm that judged them of sufficient quality to order 2,000 more. This sale began the American buffalo-hide industry. J. Wright Mooar's greatest contribution was opening the Texas Panhandle to white hunters and settlers. The hunters falsely believed that the treaties made at the Medicine Lodge Council (1867) had reserved the Panhandle as Indian hunting grounds and required the United States Army to prevent whites from entering the territory. Mooar and Steel Frazier were elected to clarify the matter with Col. Richard I. Dodge, who, as commander of the troops at Fort Dodge, was responsible for the enforcement of frontier treaties. When Dodge advised them to "hunt buffalo where the buffalo are," the Mooars moved south, scouted the Panhandle in July 1873, and established a hunting camp on the Canadian River. Several brushes with hostile Indians did not prevent the slaughter of buffalo and freighting of the hides to Dodge City. News of the success of the Mooars and the Cator brothers (see CATOR, JAMES HAMILTON) prompted other hunters to head south the following year. Dodge City merchants were also encouraged to establish a trading post, which they named Adobe Walls. The Mooars were hunting in the area when Quanah Parker raided the post. In late 1874 they retreated to the Kansas plains. In 1876, when the herds were nearly exterminated there, the brothers moved south to Fort Griffin. They were among those supporting the new buffalo post, Rath City. That fall, when Josiah Wright Mooar shot a rare white buffalo, Teddy Roosevelt is said to have offered him $5,000 for the hide, but Mooar declined the offer. J. Wright Mooar is reputed to have killed 20,000 buffalo during his career. When the buffalo were finally destroyed, the Mooars stayed in Scurry and Mitchell counties as freighters to the ranchers. Among the first to see the ranching potential of the region, J. Wright established a ranch ten miles northwest of Snyder and spent his remaining years there. He married Julia Swartz and adopted a son, T. J. McDonnell. Mooar's recollections were published in five numbers of Holland's Magazine in 1933; his amazingly accurate and detailed recall of events of the early hunting days has been a valuable source of information for plains historians. He died on May 1, 1940. Yes....You kind of going off track here Wolfy. There is a kind of small outside chance that my pouch made in Australia in the 1880's(or abouts) was made using imported bison from the USA.There was big cattle farms here in Australia by that time,and leather tanners the whole nine yard. There was and still is a lot leather goods being made here..
What happen to the bison is really tragic and something that can ever be undone..
Again your going "off track" I can see the point you try to make. 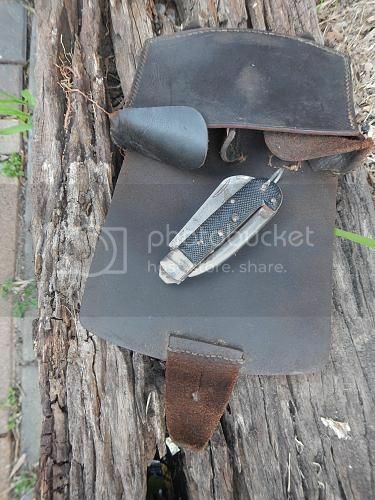 ?You talking more about what happen in the USA in the 1860's to 1890's.. Than what I showing in the post about the vintage pouch from Australia.. Yes there is a very small chance it could be from made from cheaper US imported bison leather.It is in the same time frame and the USA was a big exporter at that time. Cool pouch for sure. I like the old stuff too. I wonder what it's made from? I wasn't going off-track, but only attempting to add a bit of interesting historic speculation to your thread. So much for exploring the possibilities. Just thought you might enjoy reading a little of the history about the military of the British Empire at that time. Enjoy your pouch, Dingo. Apart from being in the same time frame the is little to connect bison hunting and early Australian military leather webbing..A foot note at best as some bison was use in some British Empire webbing? That's not to say that bison hunting is not a interesting bit of American history.But rather a subject for a thread by its self ..Certainly bushcraft skills were in use in the old west..But again that's a other thread. This is cool video on and gives flavor of how this pouch would being used.The Martini Henry was only in use for some 20 years.For what I been told it would of then been handed down to police and prison service.This britishmuzzleloader s guy in the film really knows his stuff..I would not what to be on the other end of those Martini Henry rounds. How's THAT for a sidetrack? What has this big l long quote as to do with valise equipment made on the other side of the plant in the 1870? ?Yes it was the same time frame they use the same kind of ships,railways,tools,firearms,axes.. There are no bison native to Australia or any kind of hunting on that epic scale...I can find no record of bison being imported to Australia. Good grief, Man.....listen to your own video! At the 2:30 minute mark, the narrator even says that his reproduction is "not made from real BUFF leather" like the originals. You say that Australia doesn't have native herds of buffalo and it had to come from somewhere, so where did it come from? That was a cool video. It's interesting how the pouch was an obvious forerunner to the nylon military pouch of today. 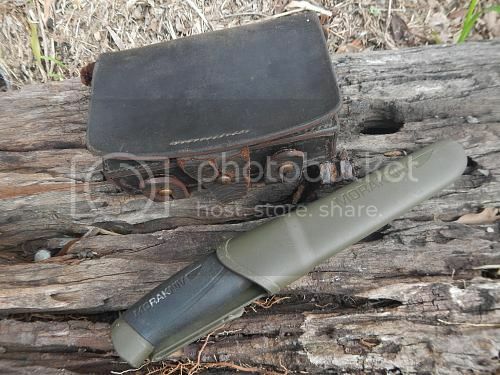 It's also interesting that it's held up all these years well enough to be used as a 'bushcraft' pouch. That's one tough piece of gear! I made the point before that this pouch was made locally(Australia) not in England.Yes some of the English webbing of that era was made using US "buffalo" hide but this bit of gear is way outside that supply chain. Again there was a lot of cattle and leather work going on in Australia at this point of time.. The film shows the standard British/English kit which each colonial army have it local made version of this kit.For example the Indian or Nepalese army would of got there Martini Henry's rifles form England.But local craftsmen would of made the leather webbing ,uniforms and other gear like canteens. This way of doing things was kept up till WW2.. If you look online you will see 38 pattern webbing and battle dress made locally in South Africa,Canada,Australia,India etc .Small details my be a bit different but the same basic kit and pattern. Victorian colonial forces(Australia) valise webbing(see link). Small details change but the same basic webbing made from local craftsman and materials...Note this is brown leather not white like the English one in the film ! 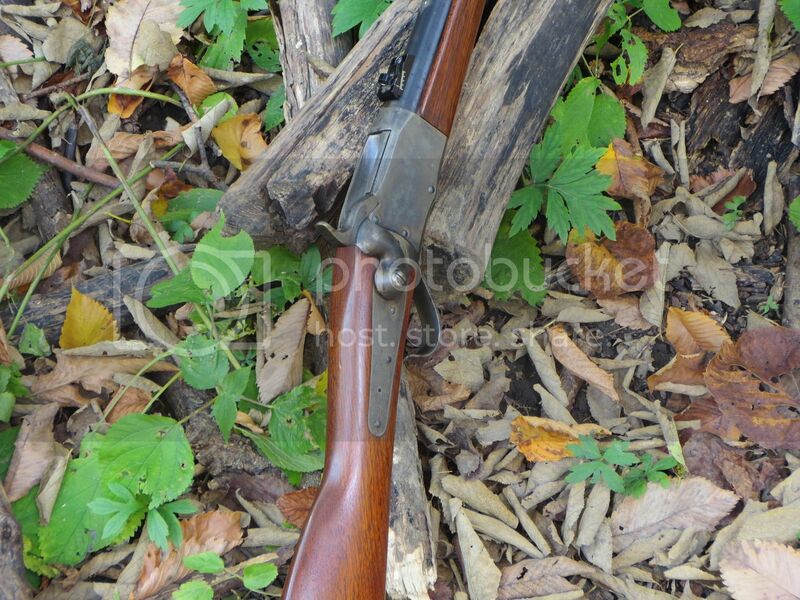 A look at Nepalese army Martini Henry's..
OK, I was referencing the white leather 1871 set of accoutrements in the video which would have coincided with the 'great hunt' that took place after our Civil War, when a lot of buffalo hide got used here for the same thing. England's demand for raw buffalo hides during that period was enormous.....German y was running a close second, due to increasing industrial and military demands. So in ending my bit of gear would of been outside of that supply chain you are talking about and a very low chance is was made from US Bison..You have to understand the British Empire had millions of men under arms. Troops born or native to England where just small part of a much bigger military network.This worldwide network saw local armys make there own gear from local materials to hand.. If that is the best you have you just lost the argument.. Thanks here is a pic of it on the belt.. I mistakenly thought it was a discussion that I was merely providing some additional interesting & substantiated historical facts to. You are the one, for whatever reason, who turned it into an argument with me. You seem to have an answer for everything, so I invite you to keep answering them all to your own satisfaction with no more input from my end. Piss off, mate. I mistakenly thought it was a discussion that I was merely providing some additional interesting & substantiated historical facts to. You are the one, for whatever reason, turned it into an argument with me. You seem to have an answer for everything, so I invite you to keep answering them all to your own satisfaction with no more input from my end. Piss off, mate. Smiley faces and film clips pulled from You Tube are no replacement for real facts debate or discussion .All the things you said on this debate where wrung,or off topic or a footnote at best. I had to spell it out for you in a lot of detail but there it is. Of all people, despite his avatar's name, Wolfy doesn't have a mean bone in his body. And to get him to the place where he tells you to "piss off" is actually kinda rare, in my experience. No offense meant. Just putting that out there for consideration. i think its important to appreciate members like this even when you obviously disagree. ... he at least took the time to discuss the subject with you. yeah amigo, reckon i'm with kk and zammer on this one as well, while wolfy can be a real pita he's really a stand up guy with tons of knowledge that we can all benefit from. He sometimes displays an active (overactive?) sense of humor that has on occasion rubbed folks the wrong way...ive been putting up with his playful antics for years and i'll admit the forum would be a bleaker (though perhaps more peaceful) place without him. I am with Woods, Zammer, Wolfy, and KK. HD is like a lot of folks you run into. No facts just BS. HD is a guy who post a photo of himself and says it is his Dad in the 1940's. I don't trust anything he says now. All well and good but I not the one telling anyone... " Piss off, mate. "